As a result of some of our awesome volunteers from work day, we have massive piles of compost steaming in our compost area. Key word: steaming! We always encourage the kids to understand how composting works and how the process works. A local food distributor is giving us a weekly giant heap of rotting green produce so that we have a steady supply of green waste. 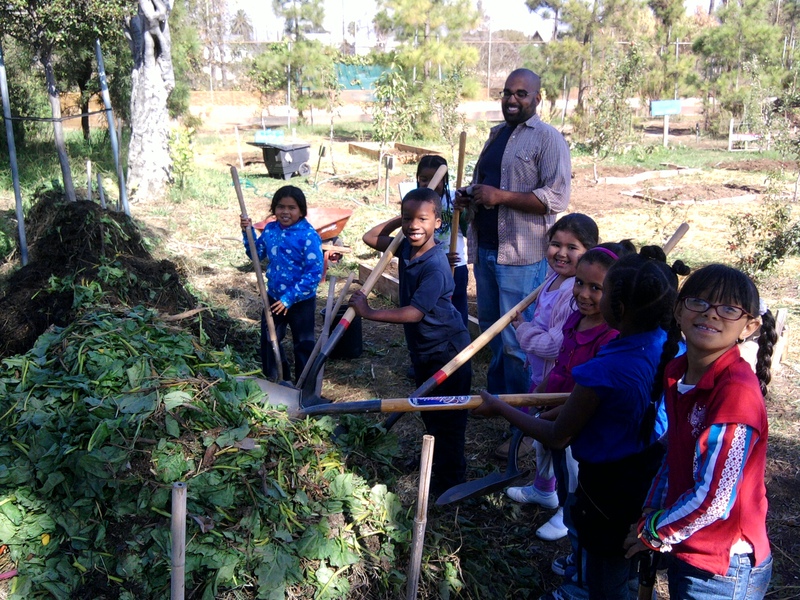 Last week, we took the opportunity to talk to the kids about composting and the importance of it. The kids were able to feel and see the steam rising from the center of the pile. We had a discussion about where they thought the steam was coming from and how the food turns into soil. 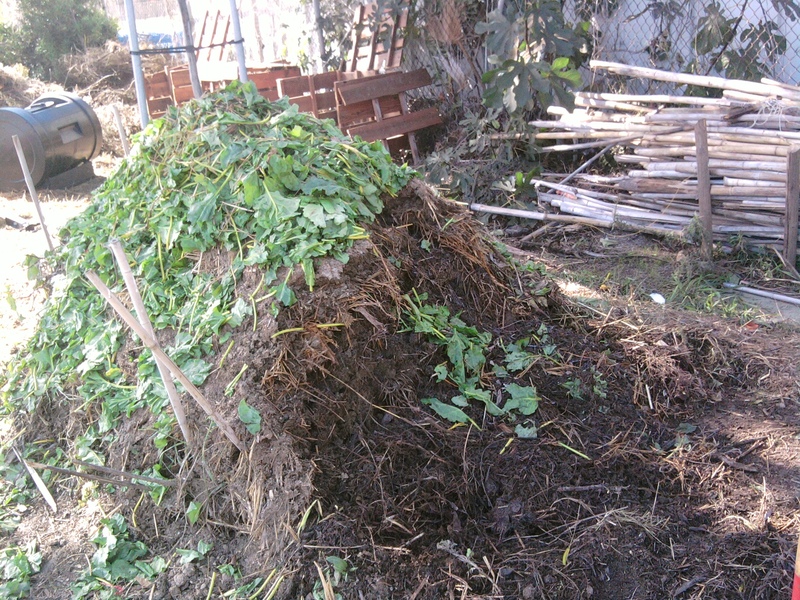 Then they broke apart bags of spinach and turn the compost pile. What do you think is the insects' role in the composting process? Why is there steam coming out of the compost pile? get it? get it? HOT? ahahahahahha- I know, garden humor's terrible.